Alex2e (actual name Alex Tuohey) is a self-taught singer/songwriter from Western Massachusetts. More importantly, Alex2e is a storyteller. In 2012, while recovering from a major surgery and desperate for reprieve, he picked up his sister’s beat up guitar and started writing. Words became lyrics, days became months and bathroom video covers turned into gigs. Fast forward to today and his leaps can be measured in dog years. In June 2017, his debut EP ‘Strange Company’ landed in the top 10 albums on iTunes Singer/Songwriter chart. His new single “Bring Out the Ghost” starts a new journey, honing his alternative/acoustic sound for a new EP titled “Half-Grown”, due out in late 2018. He has traveled across the country, playing to audiences small and large, while becoming a seasoned troubadour in his own right. 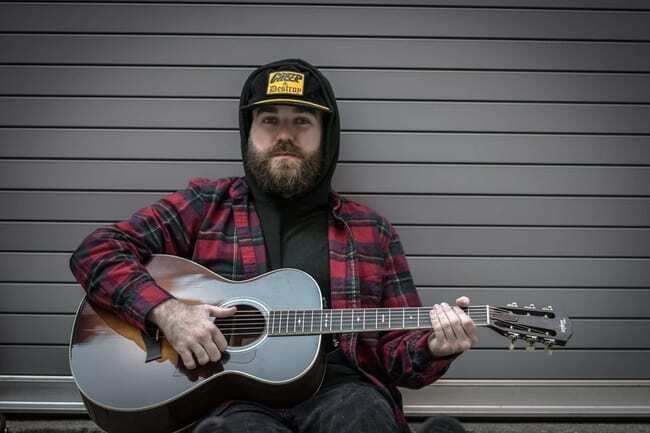 Averaging roughly 130+ dates a year, supporting national acts such as Tyler Hilton, O-Town, Griffin House, Shawn James, Casey Abrams and Zac Brown Band alum Levi Lowrey, among others, he has proven himself as a true musician, just beginning to make his mark.